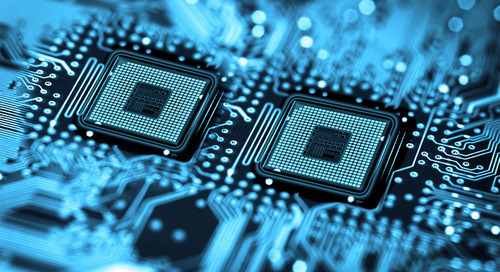 A funny thing happened while I was on vacation last week – ams, a provider of high-performance sensors and analog ICs, announced that it has acquired NXP Semiconductors‘ CMOS sensor business. Why is that funny you might ask? One reason is that it’s a smaller company making an acquisition from a larger company. Secondly, in light of NXP’s merger with Freescale, I was surprised that NXP was looking to pare off any of its divisions. From ams’ perspective, it’s a really good deal, assuming they didn’t overpay. It’s a very good fit with ams’ existing product portfolio by adding advanced monolithic and integrated CMOS sensors that measure several environmental variables, such as relative humidity, pressure, and temperature, all in one sensor device. Applications for such environmental sensors include smartphones, wearables, and other mobile devices as well as for smart buildings and the industrial, medical, and automotive markets. The cost-effective smart sensor systems will combine intelligence, wired and wireless interfaces, and advanced power management to increase human comfort, reduce energy costs, and provide additional safety and security. According to ams, the particular attributes of the new sensors in the portfolio include: minimal size, by leveraging on chip-scale package (CSP) technology; reduced package complexity and cost; low power consumption; and easy integration with other sensors. Specially developed sensor fusion software allows information from multiple sources within the environment to be combined and creates context awareness for delivering information to users. Like with most acquisitions, it’ll be a couple of years before we can determine if this is a good one. But I’ll be placing my bet that it is.